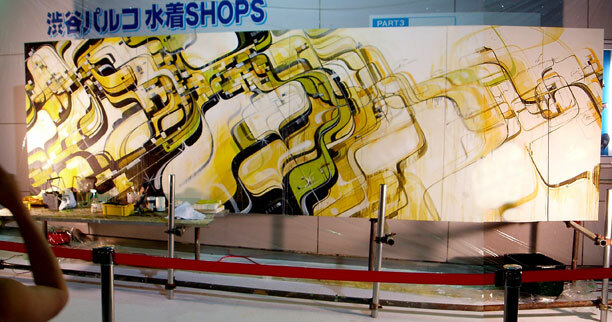 Painted live Outside The Parco Store in the town of Musashino, in the Kichijyoji Prefecture. Invited to paint to commemorate the opening of my friends Camo Store. Acrylic on canvas. Painted live at Shibuya PARCO Gallery., Tokyo Japan. Invited to paint to celebrate the opening of my friends Camo Store. 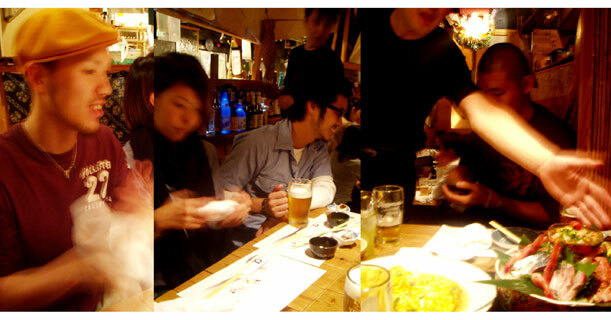 It was a saturday during holiday, so it was more packed that usual. On top of that Maroon 5 were aound the corner signing autographs at Parco Radio. My man Sebastian Angle Killed the filming which you can watch below. 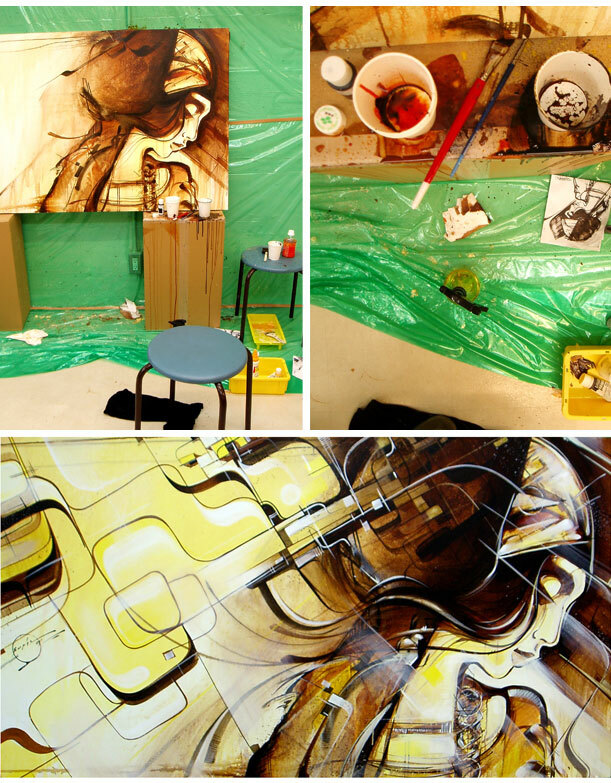 The piece is on display @ the 6875 Office in Kaigan, Minato-ku. 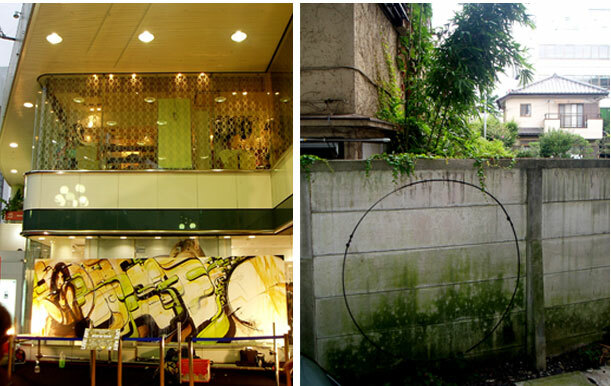 During my 2007 visit I was commissioned by Win & Kim of LOL Salon to paint a piece for their savvy retro Unisex Hair Salon in Yoyogi-Uehara located in the Shibuya Ward. This was a last minute project that came about while the word spread I was in town that ended up being one of everyones favorite. What made it even more special was that I painted the piece in the salon for the employees and select friends and clients. They straight closed up shop for the day to watch it go down. The canvas & the area was already masked & prepped for me, very on point. Afterwards, a feast of Sashim to celebrate.